Have you ever enjoyed most sophisticated car racing games on your iOS device? Like I said previously, car racing games are very much entertaining games and it drives away your boredom. Recently, we hitted up on some car racing games for iOS devices, and we decided to go with the best five amongst all. Today’s stroll, I would brief you guys on the top five best iPhone and iPads car racing games to play this season. Racing rival is a CIE game production; they have proved racing games to be much fun just as the fast and furious movie street racing is hot. The racing rival is an entertaining iOS game that acquires extraordinary features. Play the game, get to win some coins and diamonds, and use that money to get new cars and to improve your performance. The interseting part of the agme is when you unlock sophisticated cars that you can use to challenge your online opponent that haven’t unlocked any. I would really advice iPhone and iPad users to download this game, it’s really fun. Real racing 3 is an Electronics Arts game production thatis very realistic and interesting. This game acquires lots of features, and there are lots of things and stages you are required to unlock in the game and also buy. You get to purchase exotic cars and lots of maitainence features also included. I highly recommend the real racing iOS game for most iPhone users. Fast and furious iOS game is a well rated mobile game that adopted major characters from the fast and furious movie. This game looks more like a triller, just as it is in the movie. It’s quite an impressive game with tons of unique features. I also recommend the fast and furious game for iPhone and iPad users. This is another entertaining game that is also adopted from its movie. The need for speed game is a very remarkable game with lots of depth in the racing world. It’s also rated well and comfirmed to be one of the best racing games on iPads and iPhones. Asphalt 8 is a very captivating game which is very well known and popular. It’s ragphics, game sound and gameplay is very cool beyond your expectation on what iPhone games may look like. 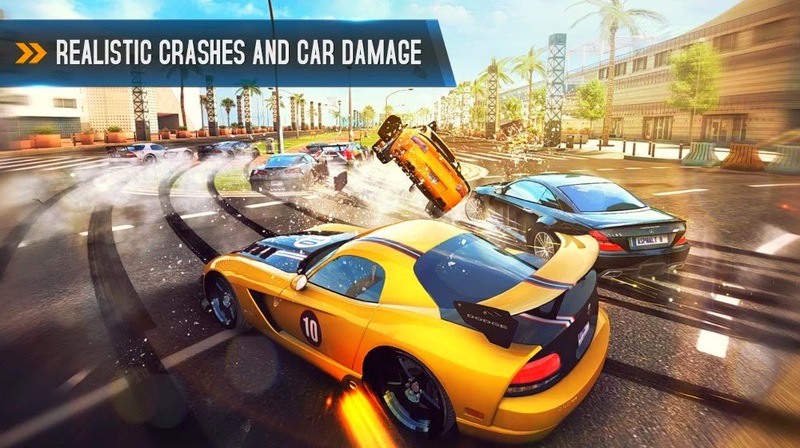 The asphalt 8 racing game also acquires lots of unique features and it’s regarded as the best touchscreen game because it offers lots of thrills and tracks. I’do advice iOS users to get the asphalt 8 airborne game, because it’s the best that you can freely get on your iPhones and iPads.